Suffolk County Sheriff's Department – To serve and protect the citizens of Suffolk County. 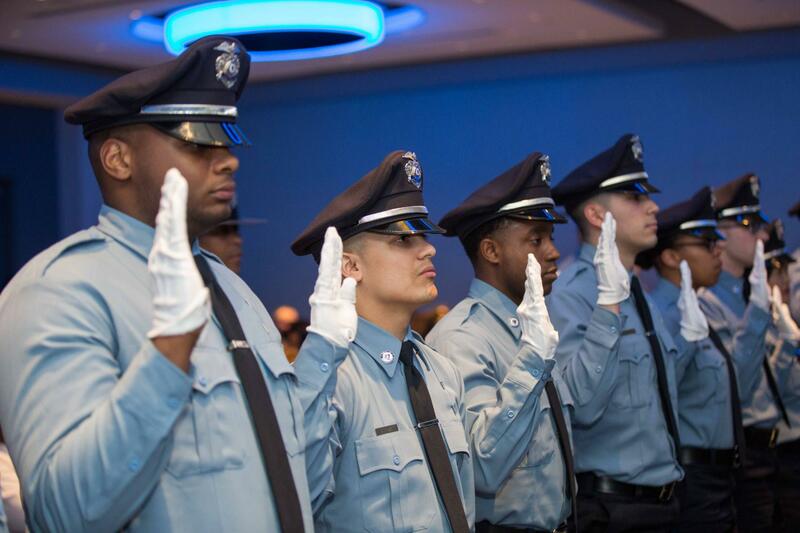 To serve and protect the citizens of Suffolk County. Sheriff Steven W. Tompkins, M.P.A. 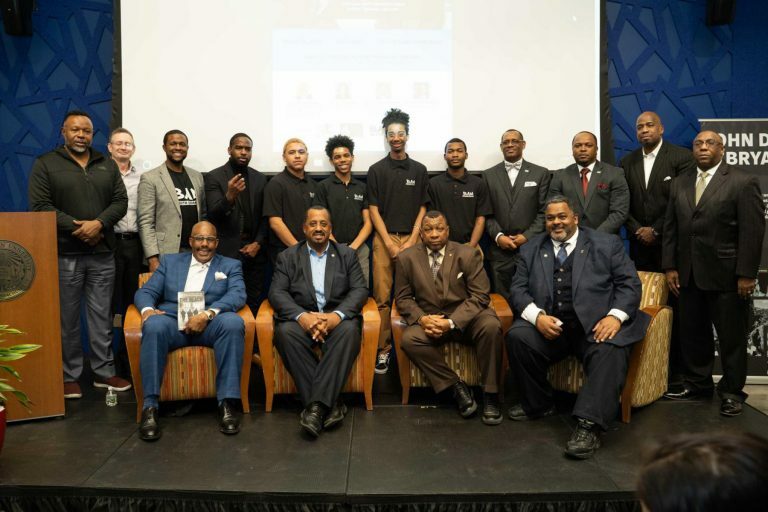 with the help of engaged, civically active people working together." The Sheriff’s Department is mandated to enforce the laws of the Commonwealth and to serve and protect the citizens of Suffolk County. Maintaining safe and secure custody and control of inmates and pre-trial detainees. 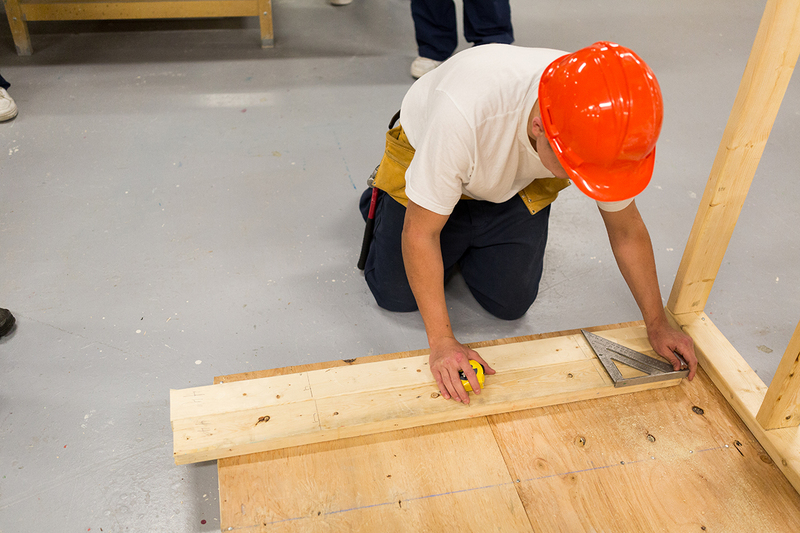 Enhancing public safety by seeking ways to effectively reduce offender recidivism. To meet the challenges presented by this obligation, we must set goals that inform and improve our relationship with both the public and each other. 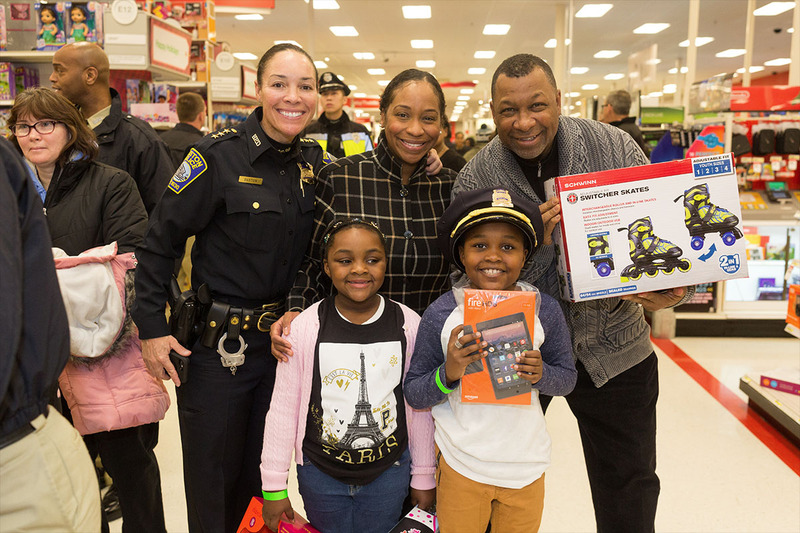 Steven W. Tompkins, a member of the Suffolk County Sheriff’s Department since 2002, was appointed to serve as the Sheriff of Suffolk County on January 22nd, 2013 by Governor of Massachusetts, Deval Patrick. As the Sheriff of Suffolk County, Tompkins manages all operations at the Suffolk County House of Correction, the Nashua Street Jail and the Civil Process Division. In addition to providing care, custody and rehabilitative support for inmates and pre–trial detainees, Tompkins also oversees a management, security and administrative staff of over 1,000. Each inmate is allowed up to three visits per week. The visiting week begins on Monday and ends on Sunday. All visitors must be 18 years of age or be accompanied by an adult. All visitors must present a current and valid state-issued photo ID, driver’s license or passport. All visitors must wear appropriate clothing. Anyone under the age of 18 will not be permitted to visit unless accompanied by a parent with the child’s birth certificate (original birth certificate - no photocopies). Only two children per visit and no children will be permitted to visit on Saturdays. It is best to arrive thirty minutes to one hour prior to the start of the visiting period. For more information, contact (617) 635-1100 x3001. 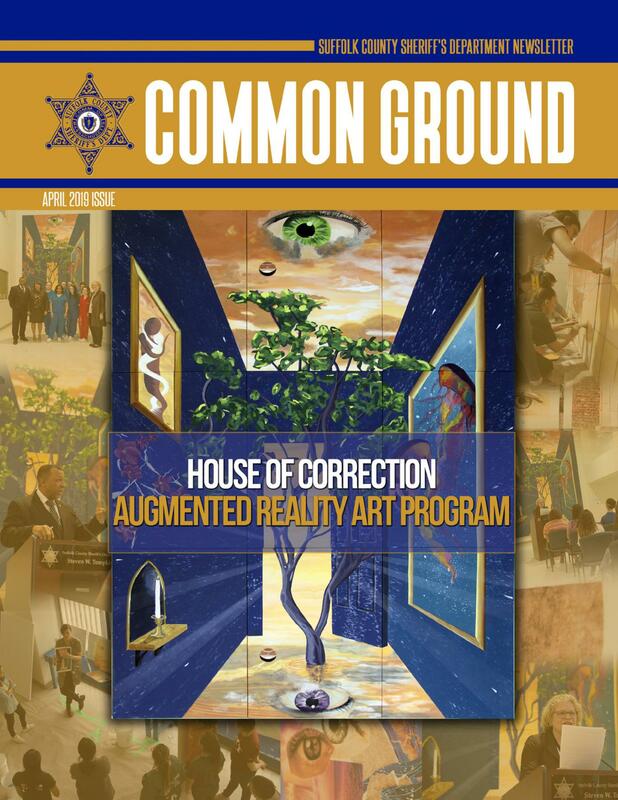 Here you can take a virtual tour of one of the Suffolk County Sheriff’s Department facilities. 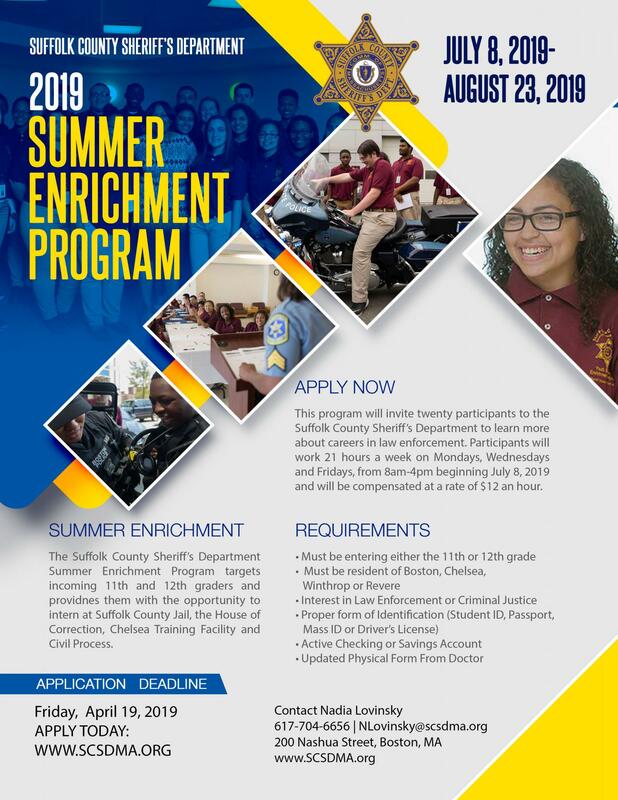 The Suffolk County Sheriff’s Department Summer Enrichment Program is a seven-week program that begins on Monday, July 8th and ends on Friday, August 23rd. 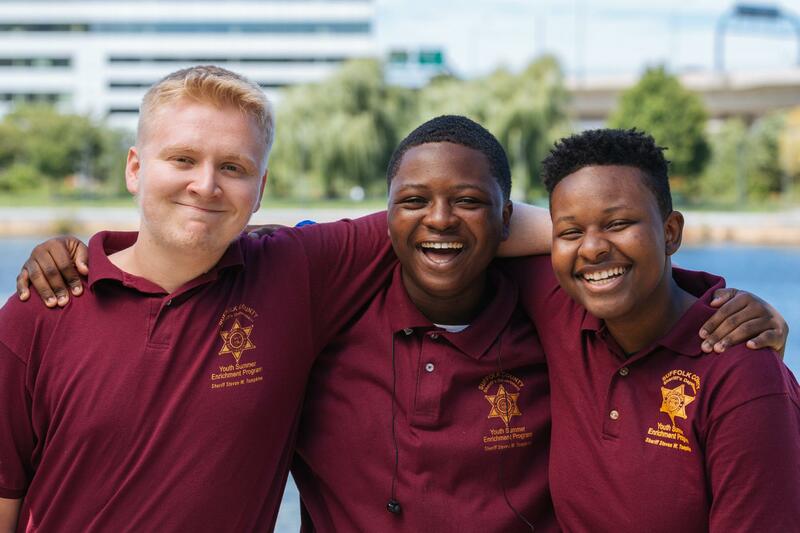 The program will invite twenty participants, selected from a group of local high school students, to the Suffolk County Sheriff’s Department to learn more about careers in law enforcement. 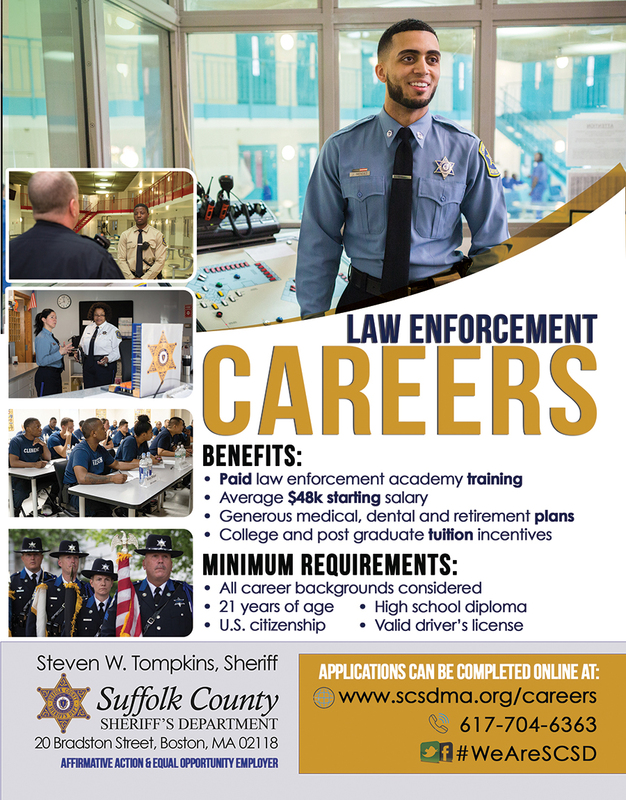 We are now recruiting candidates to join the Suffolk County Sheriff's Department as correction officers. To apply online and to learn more about the Department, visit: http://www.scsdma.org/careers/. Suffolk County Sheriff’s Department press releases. 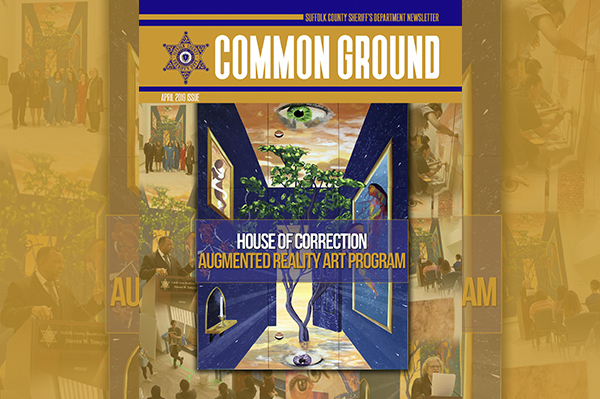 Our monthly newsletter, "Common Ground." 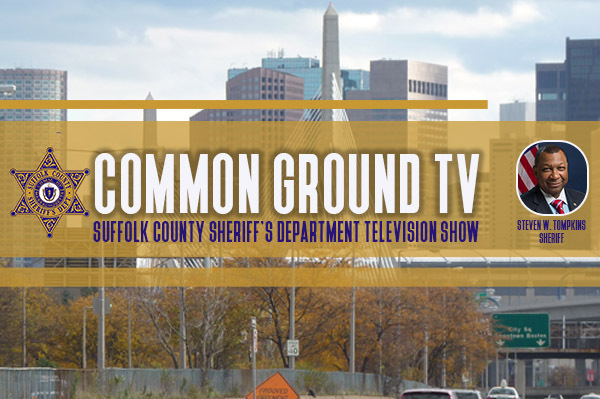 Download the Suffolk County Sheriff’s Department monthly newsletters called Common Ground – in PDF format. Sign-up to our mailing list to receive news, press releases, and updates from the Suffolk County Sheriff's Department. Copyright © 2017 Suffolk County Sheriff's Department. All rights reserved.